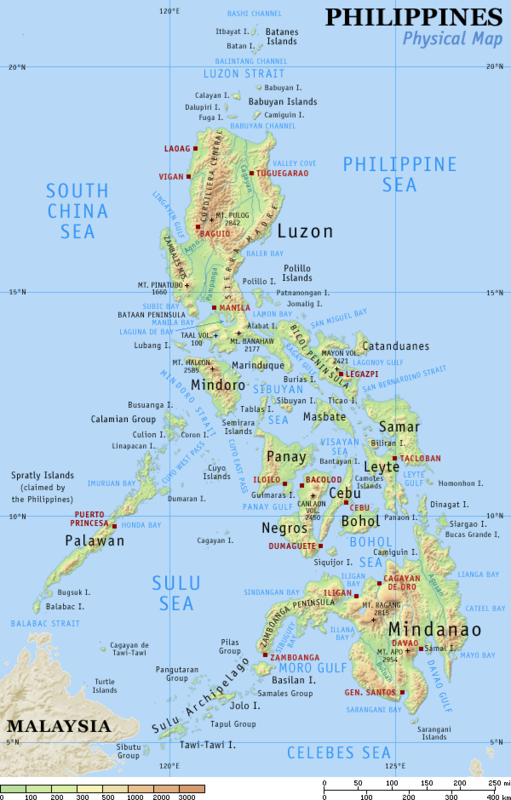 The Philippines is a country in Southeast Asia in the Western Pacific. The Philippines has an area of 3,00,000 square Km. It consists of about 7641 islands and shares its maritime borders with Taiwan to the north, Vietnam to the west, Palau to the east and Malaysia and Indonesia to the south. The chief of state and head of government is the president. Manila is the capital of Philippines. The Philippines has a mixed economic system which includes a variety of private freedom, combined with centralized economic planning and government regulation. The current population of the Philippines is 105,732,944, currency is Philippine peso and official language is English and Filipino. Philippines is a country known for its hospitality and warmth. A newly industrialized country and emerging market in Asia, the Philippines welcomes an increasing number of international students in recent years and is also a popular tourist destination. Visitors in the Philippines are treated with tenderness and affection. The Philippines is generally a warm country with an average temperature around 25-27°C. Beaches are 3-4°C warmer than cities. The Philippines is also known for its beautiful rainy season during the months of June to November. Boracay Island is one of the beautiful islands of the Philippines where people relish invigorating nightlife and parties. Thanks to over 400 years of Western colonisation, there is a rich blend of people and histories in the country. The Philippines celebrate a great number of festivals at different regions that reflect the country’s rich and diverse culture and traditions. People in the Philippines are generally hard working, easy and very friendly. Food and transportation are very cheap and accessible in the Philippines. That means, if you are staying in the Philippines for a while, you do not have to spend a lot of money and yet still get a high standard of living in the country. Last but not the least, accommodation in urban areas is inexpensive too which makes that place a really affordable.